Magdy Nasra MD PC Providers Magdy Nasra, M.D. Dr. Magdy Nasra is board certified with over 30 years of professional experience, specializing in Internal Medicine. 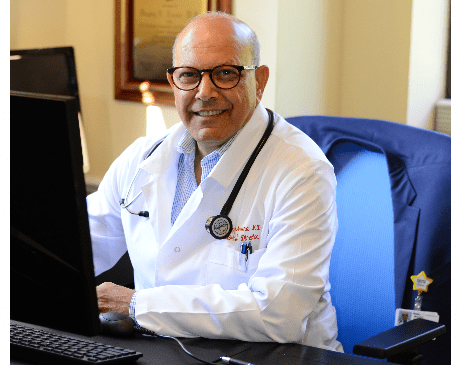 Dr. Nasra owns and operates Magdy Nasra MD PC in Holmdel, New Jersey, his personal office where he and his team offer personal and empathetic care to all patients. 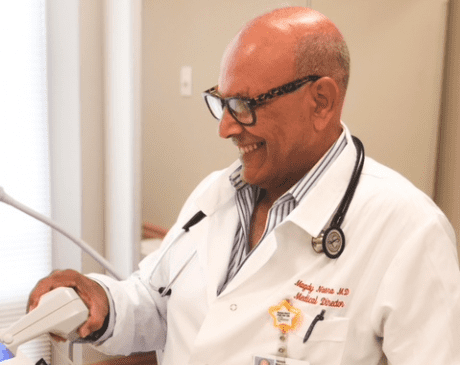 After attending medical school at Ain Shams University Faculty of Medicine, Dr. Nasra performed his internship and residency at United Hospitals Medical Center in Newark, New Jersey. Following his residency, Dr. Nasra offers his care at Bayshore Community Hospital and Riverview Medical Center. Dr. Nasra believes effective patient care comes from communication and understanding on the part of the caregiver, and this belief extends to his expert team. At Magdy Nasra MD PC, the patient takes center stage, and the medical team dedicates itself to providing personalized care for everyone that walks through the door. This attention to patient care has earned Dr. Nasra and his team a variety of patient-centered care awards. Dr. Nasra speaks Polish, Arabic, and English.